Meet Hanabi Marui, our heroine who hates boys more than anything in the world!! When she has to decide which high school to apply to, she does it without giving it any thought - it's going to be an all-girls school! However, life's not always as easy. The school that Hanabi thought would be an all-girls high, turns out to be not only co-ed but also consists of mostly boys! How will Hanabi deal with this situation...? Positive impressions from the mangaka’s other works and a good amount of volumes, expectations of a fun, light read were created only to be crushed by the immaturity of it. It was not so the clichés that tired (a romance fan is always ready for them! ), rather the effort of pretending to have deep drama and escaping the “mold” was its downfall. The premise is pretty simple; you have a girl that her most interesting and annoying thing about her is her hatred of boys, who is at a school filled with boys (surprise!). One of the most basic recipes for romance! And it works… at least for a while. Ignoring her random fits of hatred that produce headaches to the reader, she meets a guy and slowly develops romantic feelings and the story starts moving along. However, it does not go at a stable pace or cohesive as the relationship between them just randomly changes, much like her decisions. The story tries to be serious along the light atmosphere and show how difficult a love like this can be, but the 2 main characters are actually unlikable for a big portion of this, it does not showcase every side of the story and tries to explain problems and thought processes in a very shallow manner. And then, the story gets repetitive stale with her random hatred only being the focus in a semi-serious/comedic way. Thankfully, 3 other girls have a part in this story, each with her own romance problems. Some are more realistic than others and there is a lot of eye rolling as the manga tries to force more drama out of ridiculous situations, because characters in this work cannot act as normal human beings some of the time. Nonetheless, at least some of the progression of each girl (including the main character) holds some interest and does not feel as a chore to read. Also, it is sad that the manga does not try to promote some positive messages – other than the usual “Don’t give up!” and “Friendship is great!” – and sticks to stereotypes, negative even. The characters are hugely cookie cutter made and it says a lot that hating boys is the most interesting (if not the only one) trait of a main character. For the most part, most characters act their age and they make silly mistakes or overthink things, etc., but it does not always work that way and the development is either forced or minimal. Some supposedly turning points or important progression of the story are based on drama-based decisions rather than natural choices, which makes this feel very immature and the characters very unrealistic (What person does not try to kidnap another person’s sibling just because the individual they like fancies that other person?). Not mentioning some hugely exaggerated characters that were there just to move the plot in an instant and can conveniently fill many roles to make this even more dramatic. There were many opportunities to handle this better and have drama at the same time, but... Of course, no one can really expect authentic behaviors in such works, but the change sometimes is very random and even extreme to just overlook. Art-wise, it is very pleasing, although a bit generic! Distinct characters, good anatomy, giving attention to details and having a few different haircuts! There is no real complaint in this department, just that compared to the very often dialogue absence, there are lot of panels with no text (or the same cliché quotes one can imagine) and spreads with just the characters staring or something similar, etc., making this so fast to go through and easily ignore parts of the art. All in all, did I enjoy it? I did the first time I read it years back through detailed summaries. But for my 2nd read now? The problems were so glaring, I could not ignore them and had to address them here. It is truly easy to read though; lots of textless pages, basic quotes and dialogues and predictable events made this very easy, but it was just not satisfying when you could not really cheer for the main characters and then just stop caring about them because nothing changes, they just seem stuck in time with the same comedy routine and sometimes you cannot stop thinking the main guy is a douche. A 10 volume manga and it still feels incomplete on many levels. 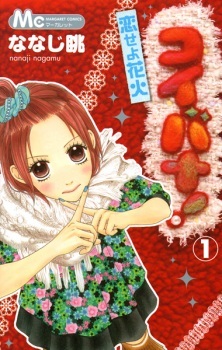 I read a lot,like really a lot of shoujo mangas and this has to be in the worst top 3.It was just so dull and it honestly drained energy from you while reading it.Yes,it was different than the other shoujos but remember kids different doesnt mean better. The art was okay nothing special,nothing too bad so yeh. The characters were okay,they were either dumb or good.There were many characters but to be honest none of them got a good developing it was just so dull...I dont wanna talk about the main girl and main boy they are the worst really.The best characters here were the dogs and that WAS the reason i started reading this shame of a shoujo manga. I couldnt enjoy the manga at all.The beginning was bad,the middle wasnt that good either but jesus the ending was also bad. I do NOT recommend this to anyone,no one deserves to go through this much pain.Have a nice day whoever is reading this. I'm currently 10 chapters in. I'm a little disappointed by how this story is being done. I've always liked shoujo manga where the heroine is shy and afraid of men. However, it really gets on my nerves when the heroine, who claims to hate guys, falls for the obnoxious lead in like 3 chapters and then keeps embarrassing herself by calling out his name and otherwise seeking him out. The heroine here has no understanding of her feelings (she's constantly in denial, even when she's being painfully obvious) and she has no control over them, and the lead may be good looking, but even 10 chapters in, his personality is arrogant, self-involved, and opaque. Maybe if his behavior were a bit different, I wouldn't mind so much not knowing what he's thinking, but the way he's being portrayed, I'm just not into him at all. Still, it's a decent manga, I'll definitely be sticking with it. I must admit, that at the beginning of this story, I thought the behaviour of the female protagonist is quite annoying. But gradually, I like her and the story more and more. At first, I thought it would be a typical shojo drama, where a girl who hates guys will fall in love with a handsome guy, then go out and from time to time, some problems will arise. - but after I've read 59 chapters, I think, it isn't like that at all. But this is somehow a very realistic shojo manga - but aside from her phobia of guys. It shows you that it isn't that easy to make someone fall for you and also the problems between friends, lovers, ex-lovers ect. I like this story a lot, because the plot is not only about the main girl, but also the lifes of her friends are partly shown. You can see many different characters and how they behave and what they actually are thinking. The main girl isn't perfect - She makes many mistakes, but this makes the story more realist. There are many situations, where (I think) most of the people would have done the same. I could really put myself in her shoes. I also like the main guy, who can often guess what the girl thinks and say it straight forward. All in all, I think this story is really great. Only the beginning is rather cliquey.